Chicago-Kent can nominate two students each academic year to study at the University of Copenhagen for either the fall or spring semester. The fall semester at the University of Copenhagen typically runs from early September until late January and the spring semester typically runs from early February to late June. More specific information about the academic dates can be found here. There is a wide range of courses offered in English every semester. Students will pay the tuition at Chicago-Kent and are responsible for any additional expenses. The recommended application deadline is March 15 for fall semester applicants and October 15 for spring semester applicants. For more information about expenses and other important information, check out the university's Faculty of Law's International Exchange Student website here. 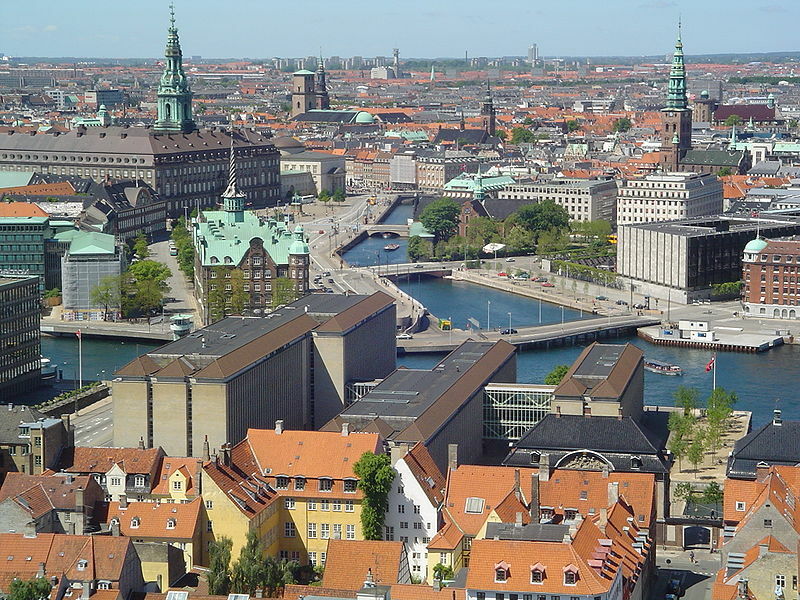 "Once the seat of Viking raiders and later a major north European power, Denmark has evolved into a modern, prosperous nation that is participating in the general political and economic integration of Europe. It joined NATO in 1949 and the EEC (now the EU) in 1973. However, the country has opted out of certain elements of the European Union's Maastricht Treaty, including the European Economic and Monetary Union (EMU), European defense cooperation, and issues concerning certain justice and home affairs." This information came from the U.S. Department of State. Read the Department of State Background Notes on Denmark for additional information. "The Danes are, overwhelmingly, a happy bunch. In fact, if you believe those contentment surveys that come out every couple of years, Denmark is one of the happiest nations on earth with some of the best quality of life. Along winding cobbled streets Danes shop and dine at some of the most exciting places in Europe. Copenhagen's restaurants have more Michelin stars than any other Scandinavian city, and Denmark as a whole would doubtless have more still if the inspectors from Michelin ever troubled themselves to leave the capital and head for Aalborg or Århus & around. Even standards in a workaday Danish café are generally very high. Beyond the capital and the bigger cities, Denmark offers a mix of lively towns such as Ribe and Odense plus rural countryside, medieval churches, Renaissance castles and tidy 18th-century villages. Neolithic dolmen, preserved 2000-year-old 'bog people', and impressive Viking ruins are just some of the remnants of the nation's long and fascinating history." This information came from Lonely Planet's online travel guide. For more information on travel and hostels check out Lonely Planet's travel guide here. "Late June, July and August are high season, with open-air concerts including the big ones such as Roskilde, street activity and basking on the beach. Other bonuses: longer hours at museums and other attractions, and potential savings on accommodation (some hotels drop their rates). Downsides: lots of other travellers celebrating midsummer with gusto. Mitigating factor: in late August, Danish kids are back in school—summer weather but fewer crowds. May and early June can also be delightful for a visit. The land is a rich green, accented with fields of yellow rapeseed flowers; the weather is generally warm and comfortable; and you'll beat the rush of tourists. Although autumn can also be pleasant, it's not nearly as scenic, as the rural landscape has by then largely turned brown. Winter, with its cold weather and long nights, is pretty inhospitable to tourism. Many destinations close up in October and don't open again until late April." This information came from The Weather Channel. Find out the current weather report in Copenhagen by clicking here. Begin your study abroad application process.